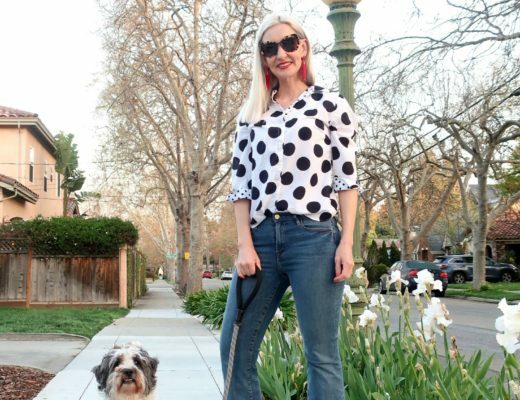 For today’s post … a fun nautical outfit … and lots of doggy photobombs! My new favorite scarf, blue with anchors, from Old Navy. Almost forgot about this tshirt I bought last year at Target! How perfect are they together? A white cardi for the morning chill. Distressed jeans, flip flops, and sunnies for a casual vibe. And … a pop of red! Hard to play stylist, when this pretty girl just wants to PLAY! 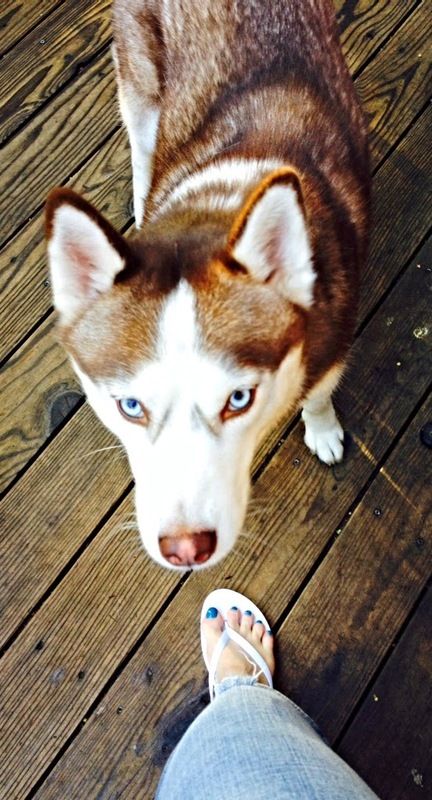 My blue nail polish can’t complete with Rox’s blue eyes! Yes, Lucky, you’re just as cute! Beautiful sunshine even coming through the window! Honestly kids, I don’t have any treats with me! Looks like I’m ready for a boat ride! But just off to breakfast and a tax appointment. Okay okay, time for you two now! 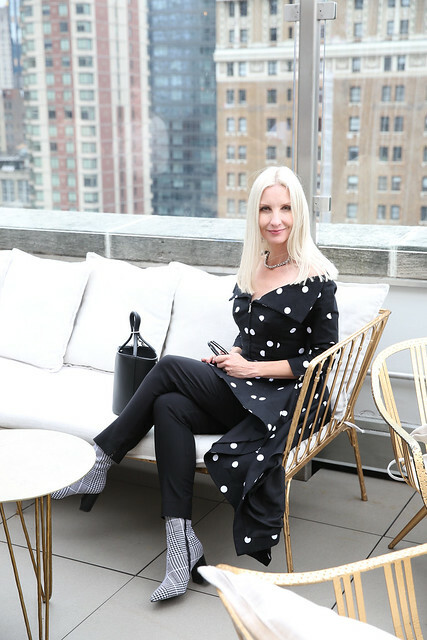 Linking up with all the fabulous ladies at Visible Monday! Thanks Porcelina! It's always so fun to find new blogs to enjoy! Thanks for stopping by! Love this outfit. The blue from the scarf looks great. Haha! Looks like those 2 were no going to allow you the spotlight alone! Fashionistas themselves, are they? 🙂 Nautical trend for spring/summer is a must and you doing it in small doses, a touch here and there is just excellent! Haha- what cute dogs! 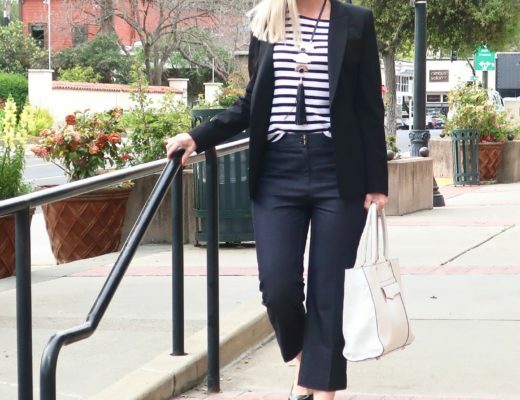 I love nautical style and these are some fun pieces! Thanks so much! 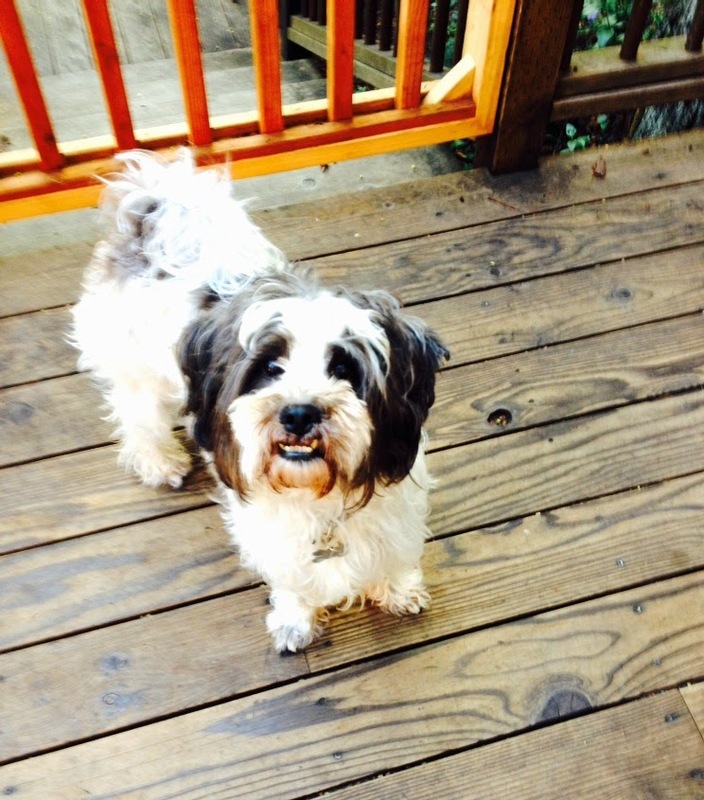 Yeah, crazy dogs … but so fun! Great outfit and bag too. Aww, thanks, Suzanne! The dog photobombs end up being my fav shots … I love my furbabies! Doggie photobombs are the best! Loving this look. I especially love that big, red bad! I LOVE the title of your blog. It's true. Fashion really ought to be fun! And your blue toenail polish is too cute! YES! Fashion should indeed be fun! 🙂 Thanks, Dear! 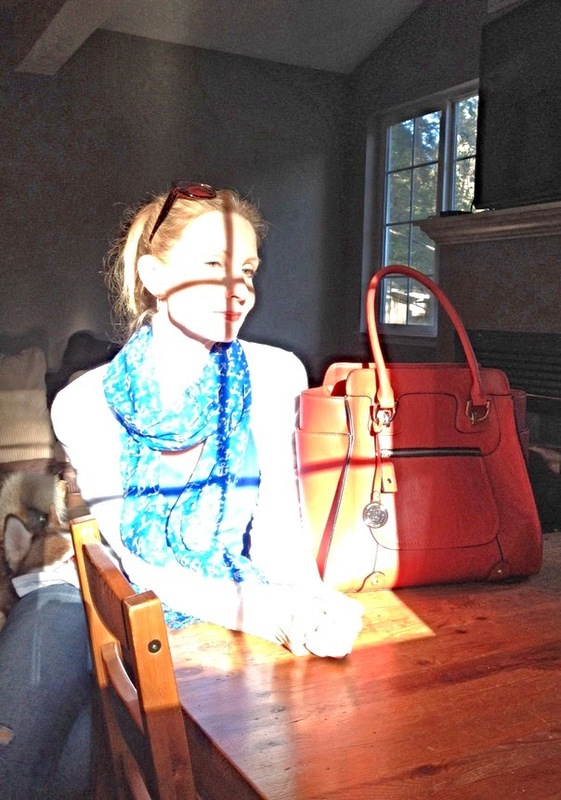 I just ordered that scarf – and so glad I did, it looks wonderful on you. Great little bombers too : > Thanks for sharing with Visible Monday. Just what I needed today, dear Dawn…a cute look (L.O.V.E. that anchor tee!) and two cute pups to take my mind off my woes!! I'm going to be "out of commission" for a while when it comes to my own outfit posts, because I broke my foot yesterday!! 🙁 So please, keep these looks of yours coming…I need all the distraction I can get right now!! Monika my dear … I can't believe you broke your foot! those evil but gorgeous pink heels! I'll miss your outfit posts so much, but keep in touch. Love the nautical theme. The scarf and T are great together. What a great coincidence! I love blue and I love nautical so I love this look! I was planning to do a nautical themed feature soon so I'm glad I got to see your take on it. Looking forward to your nautical post! You always are a class act, Lady! Lovely nautical look! Cool t-shirt and I really love the scarf! Cute photos with the dogs. Right?! But maybe it brought me luck because I am getting a good return! 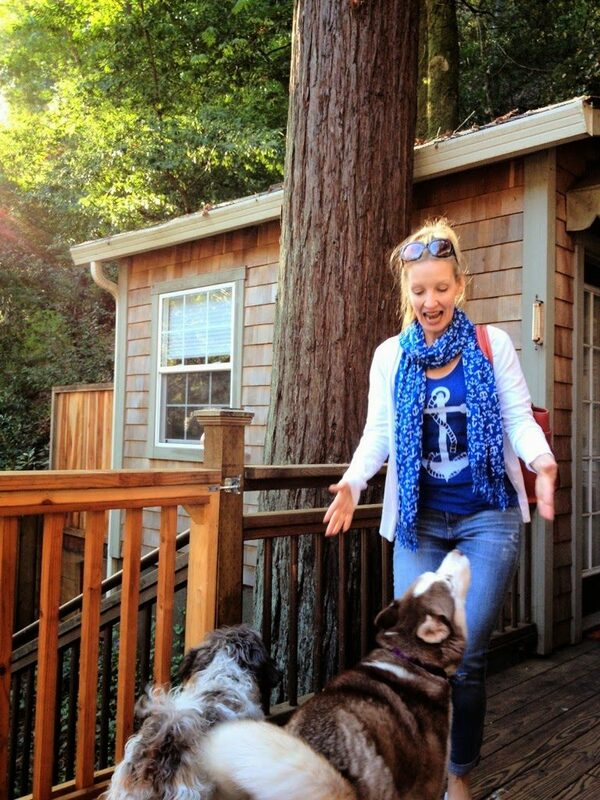 😉 And thanks … love my doggies! Thanks! Crazy dogs make me happy! 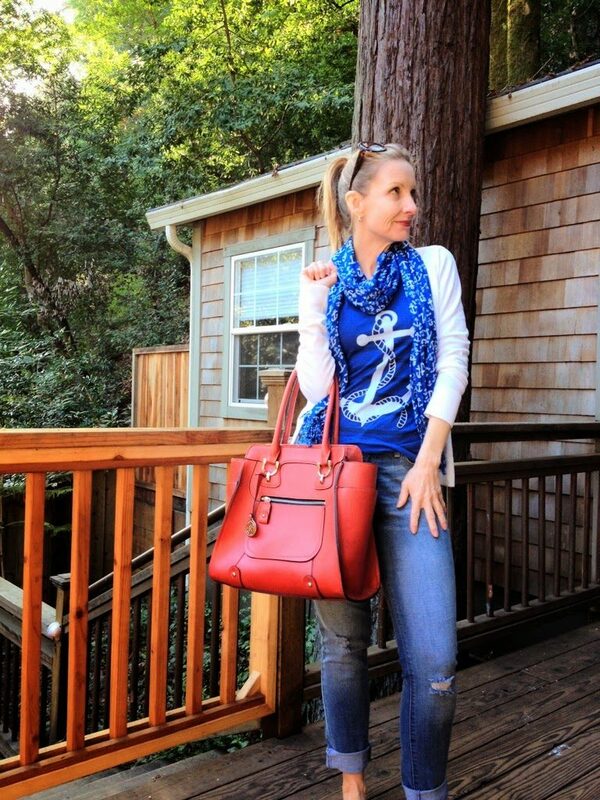 Great nautical look , enjoy the sunshine and those adorable, crazy dogs of yours. I see what you mean about the doggy photo bombs. 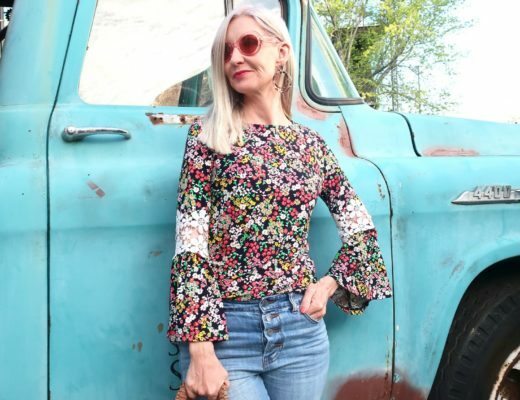 Great outfit and great blog! Thanks, Mica! Love my fur babies! You are all 3 just so cute!! Love that blue on you Dawn. Isn't it fun to find the perfect combo that you didn't remember even having? Love it! Aww thanks Heather! 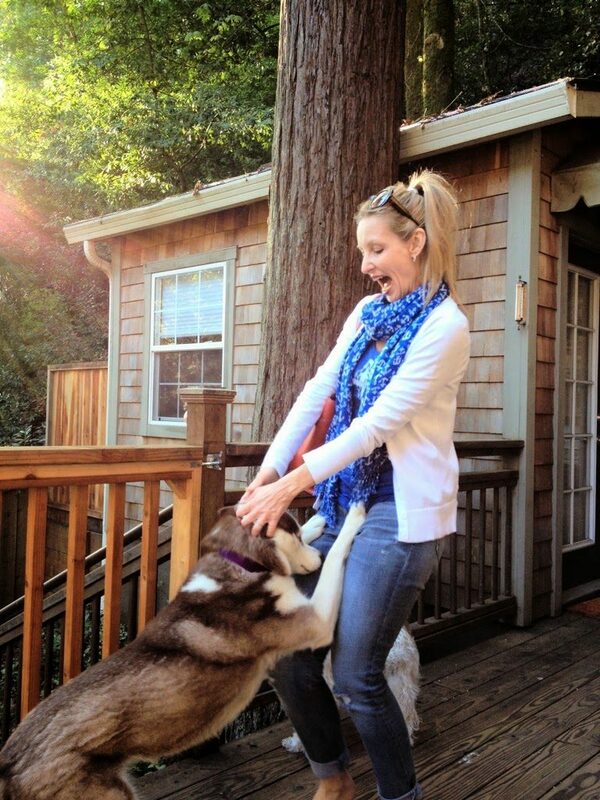 Yeah, I have a lot of fun with my dogs … and my clothes! 😉 I was thrilled that the scarf and tee looked so cute together. Nice to hear from you, Dear! 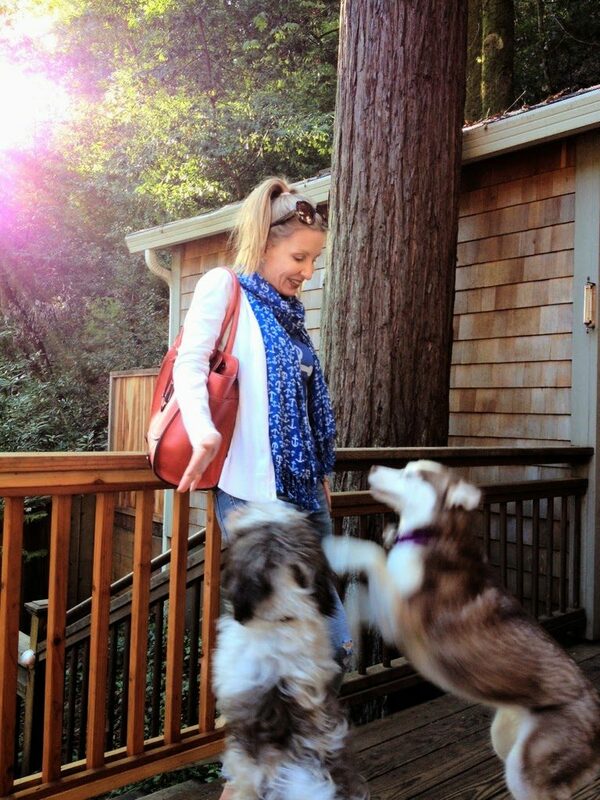 You look great in blue and I love your fabulous bag…and of course the doggy pics. 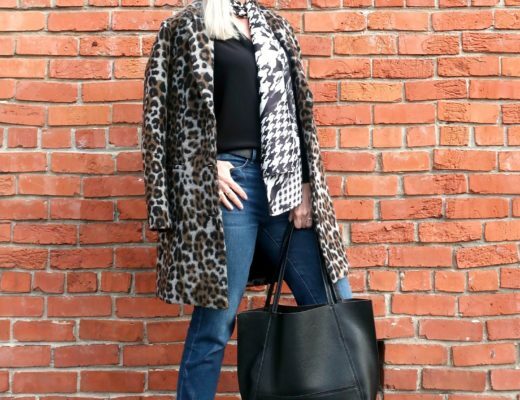 It's always a test of style to put together flips, jeans, tee and toppers and make them come together in a cohesive whole. And you do it! Spring is here when the first flip-flops come out (the first I've seen this year!) and you're so cute with the nautical tee. I'll imagine the cardi came off later in the day, and scarf just kept working to make the very casual pieces look cool and stylin'! Then the totally adorable dog bombs made your photos all about them.